Have you ever been told: "You're TOO SENSITIVE!!! ", "Why are you so sensitive!"? If you've ever been in an abusive relationship, (with a boyfriend/girlfriend, family member or friend), you've probably heard something like that. After they dish you out a truckload of unkind words, and insensitive comments, they like too blame you even more for their lack of kindness, and selfishly find a way to make it your fault...."You're just too sensitive"! 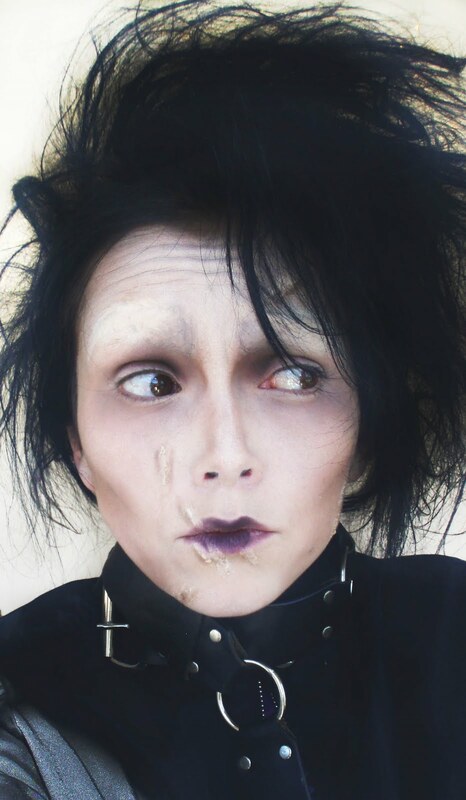 I used this picture of my "Edward Scissorhands look", because Edward was "highly sensitive", and that was his beauty, that's why you fell in love with his character. Well HOORAY! I'm what some Self-Help books and websites would label, A Highly Sensitive Person! 1. Are are very creative? 2. Do you have a deep, rich, inner life, are very spiritual, and may also have vivid dreams. 3. Do you get a sense of comfort and well being when around a lake, river, stream, the ocean, or even a fountain? 4. Are you very intuitive, can you usually tell if something is bothering someone? 5. Were you considered quiet, introverted, timid, or shy as a child? 6. Do you get concerned and think or worry about many things, and have also been told "you take things too personally." 7. Are you affected by other people's moods, emotions and problems? 8. Are you very conscientious, hard working, and meticulous, but may become uncomfortable and less efficient or productive when being watched or scrutinized? 9. Do you feel compelled to file and organize things and thoughts, also enjoy simplicity and may become overwhelmed or even immobilized by chaos, clutter, or stress? If you answered yes to one of these, YOU ARE HIGHLY SENSITIVE! Just kidding! But honestly as I read through those, I was thinking, "Yes! Yeah. Who doesn't feel peaceful around a lake or the ocean, or watching the sunset? Ok, yes I was pretty shy. Oh yes I get effected by other people's emotions." Ok, ok, I'll join the 15-20% of society that is HIGHLY SENSITIVE! BEFORE YOU GO OUT AND BUY A SELF HELP BOOK OR BUY THE SHIRTS I'LL BE PRINTING, "I'M OK, YOU'RE OK, I'M JUST HIGHLY SENSITIVE, DEAL WITH IT! ", OH BUT WAIT, I'D NEVER SAY THAT! "what the heck is so bad about being sensitive?" "who said sensitivity is a bad thing anyway?" ....your football coach, your abusive ex, the hard-hearted person that is too selfish to think about others' feelings, maybe even your parent or a "well intentioned" friend? Society likes to put a label on everything. What better way than to make the precious hearts of the world, feel even more upset over something, to ruin that invaluable ability they have of being aware of others feelings, than to give them some "social term" like, HIGHLY SENSITIVE, like it's a problem or a bad thing? They are the heart of the world, the ones with compassion, that feel others pain, that celebrate others happiness, the ones that not just look up at the stars, but see the beauty of the twinkling glitter int eh night sky. They are the ones that make sure you feel loved, and make you feel loved on your birthday, with a card or flowers. They are the ones that not just see a sunset, but see and feel the beauty of that glowing orb, grandly sinking to wake up another part of the world with it's warm glow. They are the ones that feel the ache of a broken heart or joy of a new love, and turn it into a song, with words to the paint feelings in your heart. The sensitive people are the true wonders of the world. They are the hearts and hope and artists in the world...the dancers, singers, painters, musicians...the ones who notice beauty, where others just walk on by. The sensitive people are the ones that notice the cotton candy color or the sky in the afternoon, they stop and smell the sweet perfume of flowers, they enjoy the sound of laughter and hear beauty in it, they take their shoes off at the beach to feel the sand. Music and art, and beauty (not the beauty that Hollywood promotes, but the beauty in the small things) are in important part of their life. I am thankful I am so sensitive. All the great artists and people in the world, the ones that made a difference were sensitive, Princess Diana, Mother Teresa, Martin Luther King, and many countless people who loved, felt, and felt others' emotions, and by doing so, changed the world. We are not just "highly sensitive", we are the heart and change in the world, we are "highly awesome"! Go out today with your senses...and feel and see the beauty all around, and rejoice that you are sensitive....just like me! I answered yes to all and I've always felt being highly sensitive was a bad thing and wanted to change that. I see now that it's okay to be sensitive. I get told it a lot, but hey, sensitive people rock! Who likes someone who is INsensitive?! Yup! Highly sensitive! And I thought that was a "bad" thing!! Thanks Kandee! wow Kandee. that was really beautiful. I've always been highly sensitive!! People tried to make me feel bad about it all the time, but my mom always told me that it made me a better person! She says that people like us were born to help others who suffer. To help them get over the pain and sorrow. So let's help others see the beauty that we see and maybe make a better world!! I've been diagnosed by a counselor as a highly sensitive personality type, but it's not always a good thing. Other people can bring me down really easily, and working jobs like retail, where people are nasty, can be tough. And one odd thing (that he said had to do with it) is that I'm super sensitive to caffeine. It's been a struggle for me, because I live with someone who's extremely angry, depressed, and negative all the time, and it's so hard not to let it rub off on me. As soon as she comes in the room I start feeling the "bad vibes". I don't think those questions are an accurate way of finding out if you are, to be honest. They're pretty generic and questions that many people would say yes to. Being a HSPT is pretty rare, so if you said yes to those questions, you're probably just sensitive like a normal person/girl haha. If you answered yes to one of these, YOU ARE HIGHLY SENSITIVE! Just kidding!" Ha ha ha ha. That's hilarious! Thanks for making me laugh today! lol I guess it's pretty telling that I was tearing up while reading this. I have always been sensitive. Even when I was young my mom called me "intuitive". I was always tuning in to other people's feelings and am empathetic to what others are going through. My husband has called me "too emotional" many times, and this reaffirms that it is OKAY to be emotional or sensitive or whatever you want to call it. You alway give me hope, and reaffirm what I know to be true just when I need it most! I love you Kandee! If I didn't know better I would say you were my guardian angel sent to guard against my heart when others threaten to break it. Thank you for everything! I answered yes to all of the above. Thank's Kandee you are an awesome person! So, thank you, Kandee, for being here and encouraging us to never give up. You are amazing! Thanks so much for those amazing words. You always made my day!.Someone just told me that I am way to sensitive in a bad way of course, but you know what? that person doesn't even worth beeing sad for. I HAVE TOLD YOU THIS BUT YOU ARE DEFINITELY MY FAVORITE PERSON IN THE WORLD! XD THANKS KANDEE! What if you answered 'yes' to * ALL * the questions?! I answered yes to just about all of them myself :). I am a Cancer sign by birth and I know that Cancers are the emotional time bombs of world. Hey Kandee, I loved this post, I really think you should research the indigo children, I believe you're one of them! I'm a VERY sensative person! Some people say I have too big of a heart and that's a bad thing. REALLY?? How in the world is that a bad thing?? My 8 year old daughter inherited her "big heart trait" from me. Here's an example of why people call me so sensitive..lol Just this past Spring, my daughter had her first communion. I was THE only mother crying of joy and pride for her child as she read her speech, in her lovely white dress with a halo of flowers on her head :) Sure, sometimes it's embarrasing to be sensitive, but I'd much rather be a caring sensitive person than a heartless "i don't care" type person...am I right?? Highly-sensitive people can also be the HAPPIEST people, and you are a prefect example! I's rather be highly-sensitive than highly-insensitive any day. Ahh, thank you so much for such a great post. yes very highly sensitive... but i just couldn't help but love your make up. i heart edward scissorhands! And after I saw that you posted an article about HSPs, I just felt like I had to share some luv with you- It's so INSPIRING to see a wonderful, successful, and SENSITIVE person like you share your heart with others... We should all be sharing more of our gifts and talents with each other. I am totally like this! :) I <3 sensitive people too. This post meant allot to me. I have always been very sensitive. And hearing you say all the positive stuff about being sensitive made me proud I was one. Thank you Kandee. I didn't answer to all and there's a reason for that. I used to very sensitive as a kid and also a crybaby which brought more stress into my mom's life as whenever something would happen, I would never confront the situation and just cry for mommy. Still today, I like to be a tough girl (even though that does not work so well LOL). Anyway, the bold part truly touched me. I can't believe you wrote that! I mean...it is SO descriptive and BEAUTIFUL! Not that you wouldn't be able to write that (hahahahaha) but my first thought was "How the heck can she outawesome herself?! XO"
You're a wonderful being, Kandee and you more than deserve all the love and prayers you get. I Love You! HAHAH, YES!! Thanks for more beautiful truth! Keep it up, girl. Bless you. Checkcheckcheckcheck all the way down the list! I've always been given guff for being "too sensitive" my whole life starting with my family. I'm too emotional, take everything too seriously, think too much,etc.. Told to toughen up alot and to "get over it". Well I don't want to toughen up and get over it! The world seems to have less and less patience for people like me,overly sensitive people, and it's very unfortunate! Sensitive people balance out the unsensitive people. Unsensitive people seem to forget that. Also wanted to say I used to hardly cry as a kid which then led to never crying. Crying was a sign of weakness and my heart was so hurt and hard that I just got to the point that I could not cry when hurt. When I was 21 out of my pain and hurt I turned back to the Lord and asked Him to help me. He did. There's a scripture that talks about God giving a heart of flesh for your heart of stone. He did this in me. Ever since then I cry at the drop of a hat. Watching my puppies sleep makes me cry since they look so peaceful. Sappy movies make me cry. Dumb commercials make me cry. Looking at and watching my niece makes me cry since I love her so much. it's actually called being highly empathetic. i answered yes for most except one.. the river/ocean water thing, lawlz. I think some of the Qs are questions that most ppl would answer yes too. like the question about being comforted by water, most people find that comforting. People love the water. I answered yes to few questions and I suppose the world would label me as highly sensitive (I don't like labels..lol). What about people who are easily offeneded or people who are controling and expect you to be a in a good mood, and always happy. It's like they are sucking the energy from you? Are those highly sensitive too? I like this blog, but I have a question mark over my head. I need to think about all of this....I know this is a ramble...sorry. I said yes to EVERY SINGLE ONE! WOWZA! It seems that we are a huge Team of Very Sensitive People! :-) It is great to know that there is so many similar people with good hearts! I dont have very good self-esteem, but I am working on it... and what Kandee wrote, helps a lot. I can't imagine not being sensitive. I wouldn't be me then! I even went to therapist with my "condition", but I realized that my sensitivity is my virtue, and I am glad that I am sensitive, and I thank God for that! My (over)sensitivity defines me, this is 100%, true me and it helps me to help others. Love. As I was guessing, I answered YES to all the questions O.o and I was a little afraid of the result. because it looks like.. TOO MUCH ! and I guess it is.. for the actual world we are living in..
thank you for your words, Kandee, kind words as always. that makes me wanna cry.. but not in a bad way, just because it makes you fell warmer inside to feel not so alone in that hightly sensitive case ! Thanks Kandee! I answered yes to all of them and I sometimes get made fun of for letting things get to me, but your blog made me realize that though others may criticize that quality, it is a truly beautiful thing. Add me to the list. I cry over everything, happy or sad. But you know, if you are going to feel I think it is best to feel deeply. Swim in those emotions and really experience life, you know? i answer yes to all! thank you kandee you are a beutiful person and i wish you all the best! kandee i love you so muchhh!!! Oh my gosh! I was going down the list of questions and I got more and more in awe as I answered yes to every one. Thank you Kandee for sharing this with us. Is it really only 15-20% of the population? I guess now I understand why I was commonly the only one to stop and appreciate things while others just charged on. Again, thank you kandee for making me feel understood and special. 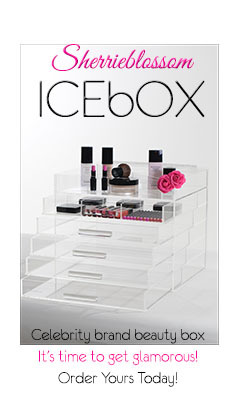 Kandee is always a great blogger!!! I definitely answered YES to all those questions. Your blog is always entertaining!! Wow sorry for the typo... It's late and I'm out of it.. Luv ya kandee!! im so glad u sed that! it's nice to know theres others out there like me! almost every job ive had takes advantage of my personality by being over dominearing to me, almost getting a high from being stronger than i am (in their own eyes anyway)i refuse to change i like my personality so i quit those jobs and am on the road to being a makeup artist self employed like u! its rewarding and i can be myself!thank u kandee for being a fantastik inspiration to me! Thanks for sharing Kandee. This helped me! I've been sensitive to others my whole life, and I sometimes beat myself up over it. But this was a good reminder that it IS NOT a bad thing. I remember when I was in grade two and this boy was being teased. I went home and bawled my eyes out because I felt so bad and didn't quite know what to do for him. If anyone dare tell me that that is a bad thing, they better look at themselves in the mirror. Charity for others is the pure love of Christ. We must ALL have it. It is because you are sharing this that there is someone out there who will understand that they don't have to hide how sensitive they are. I too deal with all the positives and negatives of being extremely sensitive. Having been in an abusive relationship can also heighten this sensitivity. I know at work and at home, I am very highly attuned to what people's true intentions are, and it is hard to get it out of my thoughts. I used to think that I must be imagining things, but almost every time I pick up on certain emotions from people, it turns out I was on the right track. Keep opening up your heart and I will be right there with you! OH MY GOODNESS.I always knew I was sensitive but I never knew how highly sensitive I was! I scored a yes on every single question. Wowwy. Yes to all! Amazing post, makes me feel proud of being who I am. I'm from Brazil, and I love all your videos! i was always told that I was very sensitive!!! and I never thought it was a good thing. Later, inmy erly twenties, I decided to be OK with it!!! I am sensitice....super sensitive! you are right Kandee, there is nothing wrong with that!! I LOVE YOU, KANDEE! You're the best!